Nestled the coastal side of Gujarat state of India, Daman is an impressive beach destination offering an idyllic weekend getaway from Mumbai. It takes pride in holing some great alluring beaches that are popular among the tourists from around the world. With calm water, smooth sand and swaying coconut palms standing still, the beaches of Daman draw everyone attraction. Some of the major attractions of Daman include Devka Beach, Moti Daman Fort, Gothic style churches, Jampore beach, Nagoa Beach, Gangeshwar Temple, Our Lady of Rosary Chapel, Hilsa Aquarium, Hathi Park, Bridge Side Garden, Municipal Children Park, Ahmedpur, Mandvi, Chakratirth, Jallandhar and Gomtimata. At Tour My India, we offer you an incredible Daman Beach Tour that will cover each and every essential aspect of Daman that will leave you with a life time holiday experience. 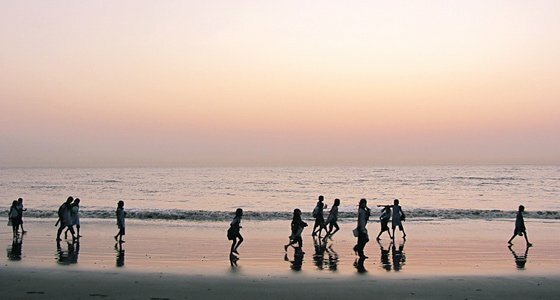 So, allow you to turn your dream weekend beach vacation to Daman into a reality. Meet on arrival at Mumbai Airport / Railway station and drive to Daman. On arrival Check-in to the hotel. Evening free for leisure. Overnight stay at the hotel. 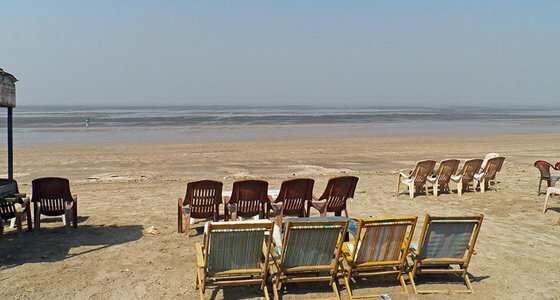 After breakfast city tour of Daman, visit Devka Beach in Daman is lively destination to be in. It has an amusement park with attractive illumination on festivals. Another is massive Moti Daman Fort dating back to 16th century. It has the massive fort, the stately Light house, gardens, historic monuments and ancient Gothic style churches, are the key places of interest. There is very alluring artificial tourist complex Daman Ganga, having all the recreational facilities, one of the major tourist attractions in Daman & Diu. Another mention among the tourist attractions in Daman and Diu is Fort of Diu, sourrounded by sea on three sides, offers a marvelous view of sea. The serene Jampore beach is an ideal place to unwind and listen to the whisper of the palm tress and laze around. Church of Bom Jesus was built by the Portuguese in 17th century and is famous for their impressive rosewood carvings. 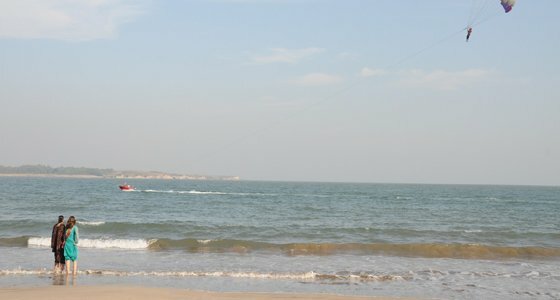 Nagoa Beach is a semicircular beach in Bucharwada village, an ideal place for various water sports. Another important touriost attraction of Daman & Diu is Gangeshwar Temple, dedicated to Lord Shiva, houses five lingas in the midst of the rocks on the seashore. Other tourist attraction in Daman & Diu are Our Lady of Rosary Chapel (inside fort, Moti Daman fort) Our lady of Sea Church (inside Nani Daman fort), Hilsa Aquarium, Kachigam Water Tank, Hathi Park, Bridge Side Garden, Municipal Children Park. The other equally beautiful beaches are Ahmedpur, Mandvi, Chakratirth, Jallandhar, and Gomtimata all having their own charm and thrill. Overnight stay at hotel.